Twenty years ago, Paul, Samantha and I stood in line more than 2 hours to see a special impressionist exhibit at the Musee d’Orsay, the former train station and now premier museum housing 19th-century art in Paris. Today, contrary to what the guide books led us to expect, we walked right in. We spent most of our day enjoying the beautiful paintings and sculpture and especially enjoyed seeing the works of my favorite painter, Renoir, and Paul’s favorite, Van Gogh. Leaving the d’Orsay, we crossed a pedestrian bridge full of “love locks”. A couple writes their names on a padlock and locks it onto one of the bridges. 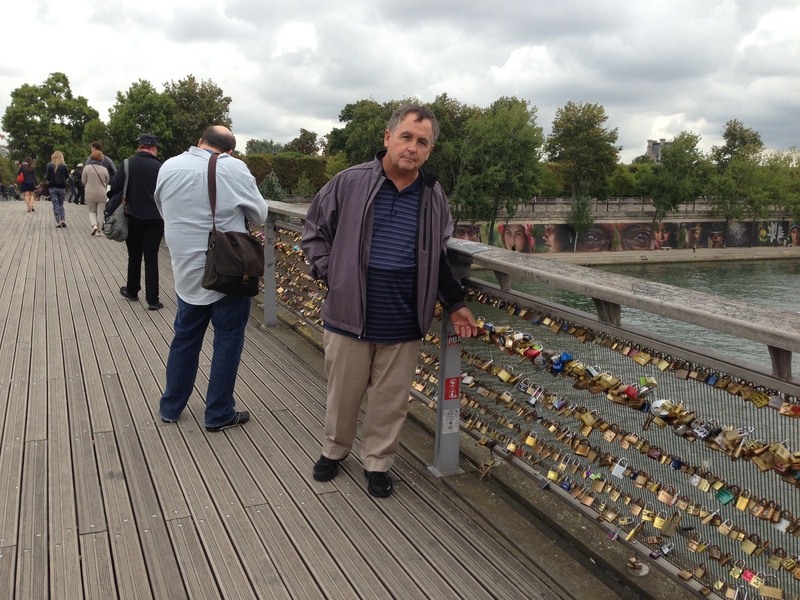 The lovers then throw the key into the Seine River as a symbol of their undying love. For couples who come unprepared, vendors sell locks right on the bridge. A “gold ring” scammer approached us. Thanks to Rick Steves, I knew immediately that we were being set up, so I said, “Non, Merci”, and we kept on walking. The scammer pretends to find a gold ring (which is really brass) on the street and states it doesn’t fit her and offers to sell it. It seemed like an odd scam to me when I read about it, but now I know it really does happen. 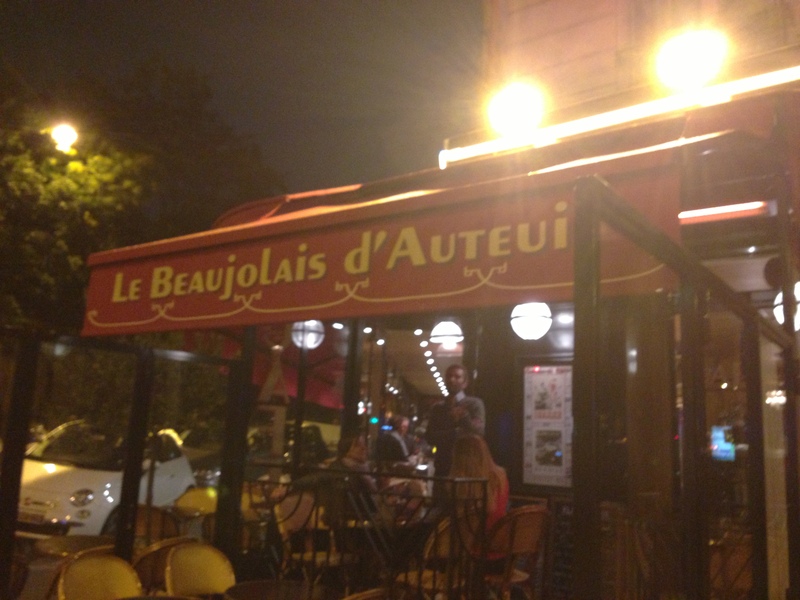 We had a wonderful dinner at Le Beaujolais d’Auteuil, a traditional Parisian bistro in our arrondissement. Our waitress tried out her English with us and helped me with my French. The Parisian wait staff have been great French tutors. 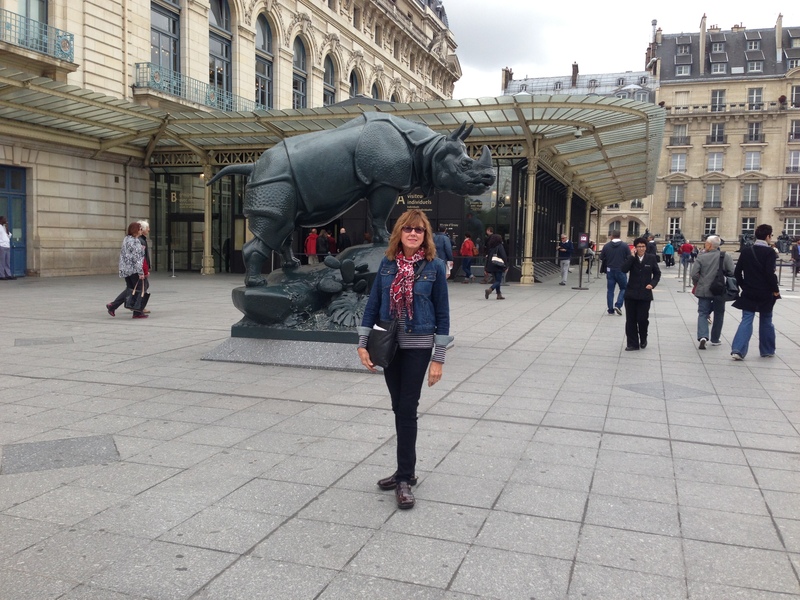 This entry was posted in Paris 2013 on September 12, 2013 by debbie.